On April 10th 2018 we attended the press conference organized by CookUp which is starting its ICO on May 5th. 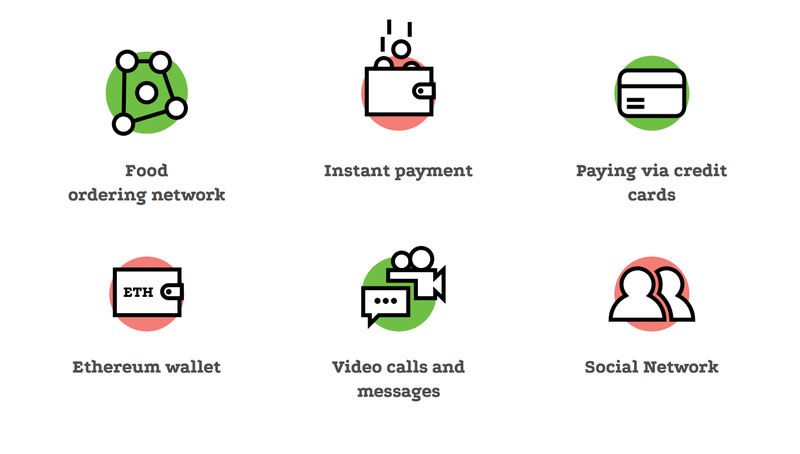 What sets them apart from the rest – other than the idea of an Airbnb for home cooking – is that it's the first officially registered ICO in Croatia which doesn't rely on loopholes in other countries' laws for fundraising. CookUp is the first wholly Croatian ICO and plans to be the Airbnb of home cooking. Their plan is to release 630 million CHEF tokens which would be used to pay for the services offered through the application, whereas the application itself will be connecting travelers, foodies, cooks and other fans of home cooking. In theory, the project should allow home cooking fans to sell and showcase their skill and local food while allowing travelers, single people, nomads and foodies to have experiences they cannot buy in restaurants. The project lead, Ivan Ivusic, said that the platform is aiming for transparency both in finance and in reviews. The plan is to have people review each other like on AirBnB for the full honesty and trustworthiness of everyone involved. The idea is good – the sharing economy is absolutely taking over the world and with the rising global connectedness it's not likely to stop any time soon. Ten years ago it was unimaginable that someone would order a car online and get into it safely, without fear or background checks, yet today the biggest transporter – Uber – doesn't have a single car registered to their service. 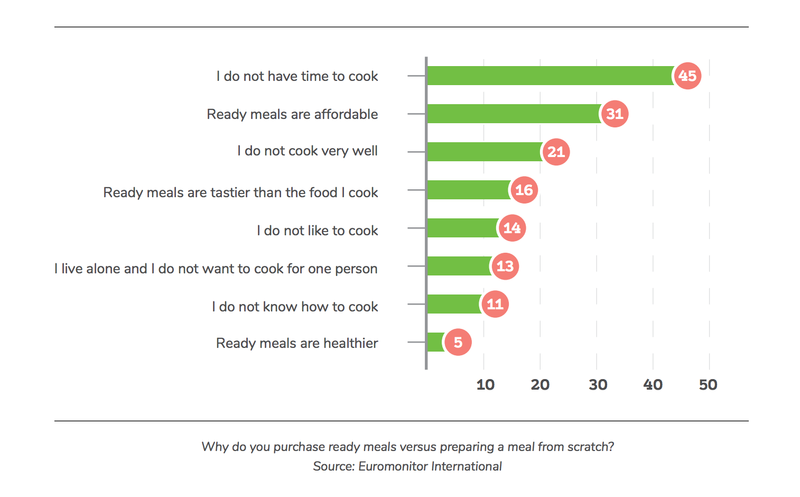 I don't see why we wouldn't be monetizing and sharing every aspect of our lives soon – if watching people play video games or eat food on Twitch became a huge industry, why wouldn't the sharing of cooking skills and local food? The digital agency Mint Media is behind the project. They had been planning this project for three years now and from a marketing perspective the project seems extremely well developed. Marketing is, as we all know, the key factor of any modern ICO. From a technical perspective, Ivan Grbavac, despite being the only person doing their blockchain integration, seems highly capable given his experience and education. The advisor team for this project is also high quality. Some of the more prominent members are Vlado Hrdalo, the chairman of UBIK who is more than capable of leading them through Croatian law hurdles. Nikola Skoric is also there. Along with his business partner Marin Marzic, Nikola is one of the first blockchain adventurers from Croatia. Luka Klancir from the Croatian Bitcoin Portal is also lending his expertise. I personally know all of them and can vouch for their quality and skill. We (Bitfalls) are also on the advisor team, focusing on smart contracts and security audits. I personally believe that, as the only company in the region doing high quality thorough security audits and analyses of smart contract code, we can be of great use to the project and offer plenty of crucial technical information based on our experience. There will be a total of 630 million CHEF tokens, half of which are going into the ICO. 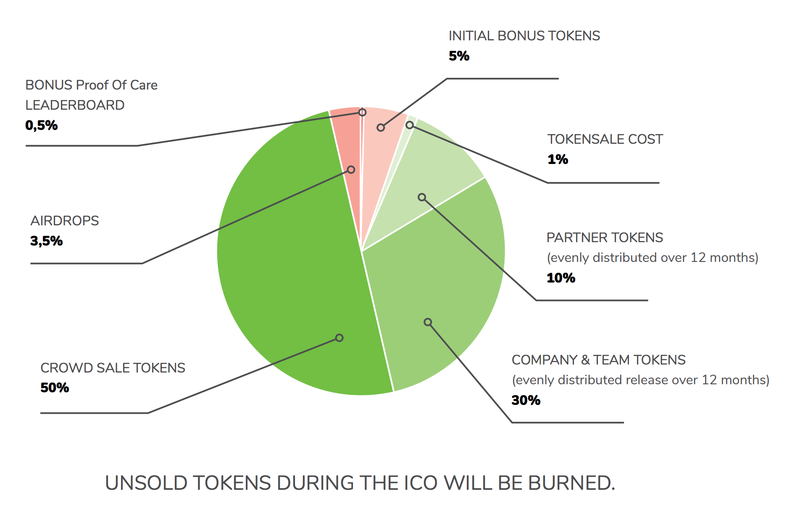 A relatively standard distribution when compared to other ICOs. The team keeps 30% of the token with a slow-release schedule, similarly to our CryptoHunt project. The partners also get 10% of the locked tokens. The rest of the tokens go into marketing purposes – airdrops, bonuses, etc. Locking the tokens after the ICO should prevent dumping of exchanges and flipping the tokens by investor pools. Only 29% on development seems low considering the complexity of the application (video calls, global availability). If the soft cap of 7000 eth is reached, at a price of $700 that's a little under 1.5 million USD. That's not a lot of money considering the time limit imposed on the team and the amount of work ahead of them, so they'll need to get on top an MVP as soon as possible. They'll also need to become profitable and get other sources of funding as soon as possible, but the generous marketing budget of 46% is guaranteed to take care of that. It's a good thing that the application is being developed in Croatia where 1.5 million USD will last much longer. 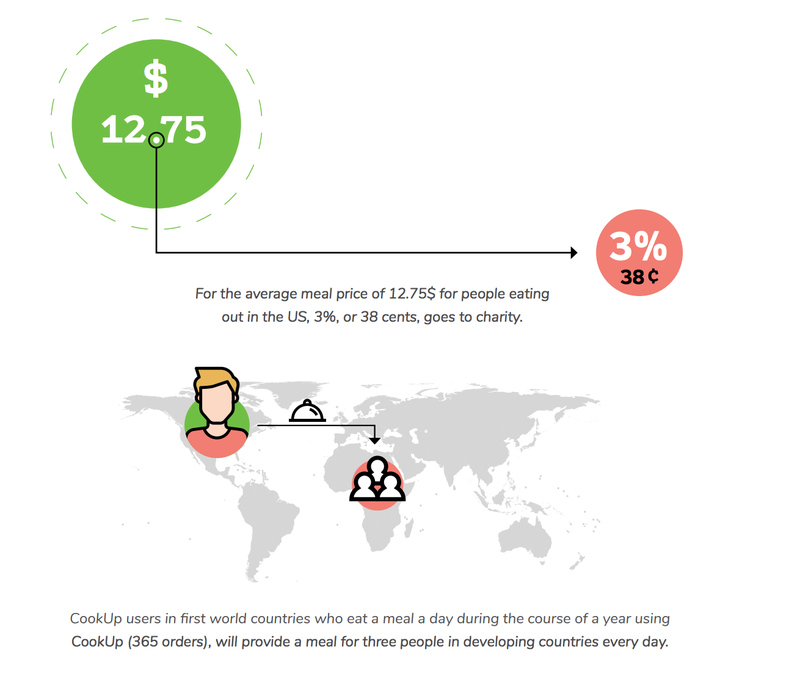 Cookup is also planning an altruistic angle – 3% of every transaction will go to charity in order to help solve the problem of world hunger. According to their calculations, at an average price of $12 per order, 38 cents will go to a third world country where that amount is enough for three meals in a school. Let's look at the CHEF tokens. 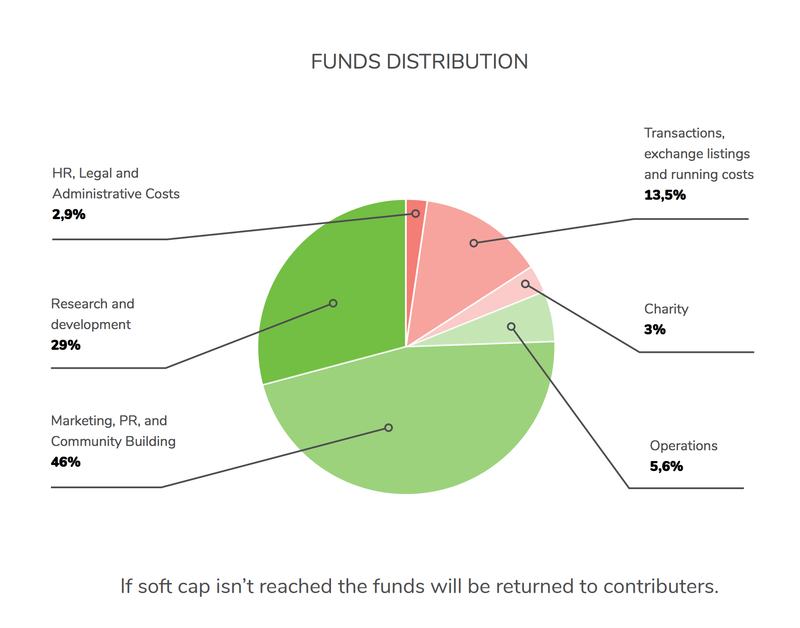 On its own, the token doesn't seem too essential beyond its purpose as a fundraising mechanism which is a perfectly valid use case of the technology. If there were no need to gather ether for funding, the token could just as well be replaced by another currency or token. But as we mentioned earlier, it's not necessary for a token to be part of an application's logic to have a valid ICO use case. An ICO is a perfectly legit way of raising funds and if someone managed to save up some money I personally think it's more sane to let them spend it on startups and investments and not have them go through various accredited investor exams than let them gamble it away in a casino or bank. An ICO is a perfect solution for this project because it lets the people who will use the app most to invest in it, thereby allowing for the team's uninterrupted development while growing the community. The ability to use the tokens to pay for the app's services is merely a cherry on top of this sundae. The token itself isn't a stablecoin so its value is not anchored. This means chefs can lose money by accepting a booking in advance and the market crashing until that date. The only way to limit a utility token's price is by implementing a buyback program in which the company promises to buy the tokens back from the community at a fixed minimum price, thereby preventing the tokens from ever dropping below a certain value X, while at the same allowing for it to rise to X+Y where Y becomes incentive to use the system – extra money. Cookup is currently reviewing this approach. Cookup has a lot of potential to open many doors for a lot of people – in particular, generations of cooks and good-food enthusiasts. 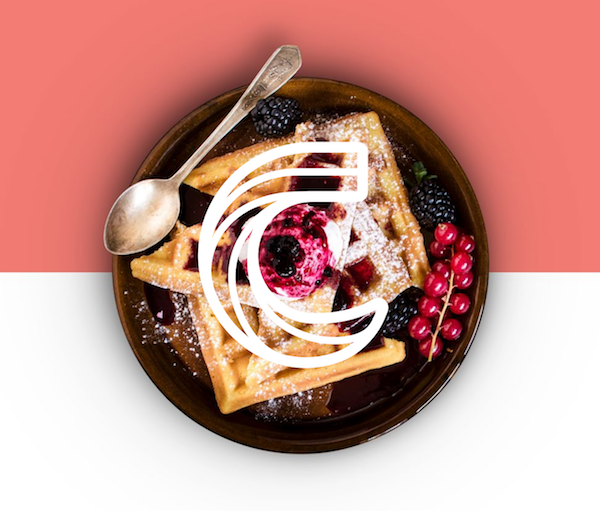 Once it's partnered up with restaurants, hotels, hiking lodges and other entities producing local food and contributing to the growth of global tourism, we believe Cookup will enter a mature and fast growing market of the sharing economy which desperately needs more digitalization. While it's not too realistic to expect that the “old generation” will readily accept the blockchain or digital ordering of dinner guests, their offspring who enjoyed watching them cook their delicacies are the right target audience and the audience that will benefit this project the most. In an upcoming post we'll take a look at the smart contract code of the project, analyze it and judge its quality to objectively build an impression of the team's expertise. Bitfalls is an advisor in the project and is attempting to build the most objective and unbiased possible image about it. Although we do have authorization to provide early investors with certain bonuses, we should note that no part of this article is investment advice and that you should always follow other people's research with your own.